I am happy to find this 2014 post in my drafts before this blog got re-incarnated as "Autumn Girl By the Bay". This was about my "me time" one Sunday afternoon while Mr Sweetie was away on a business trip. 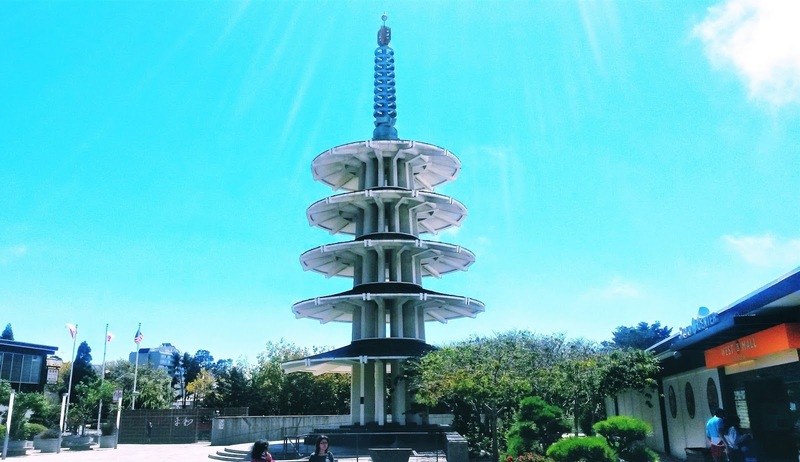 I am reposting this as a journal entry of that gorgeous sunny Sunday afternoon in March 24, 2014, and as a list on Fun Things To Do in San Francisco Japantown. 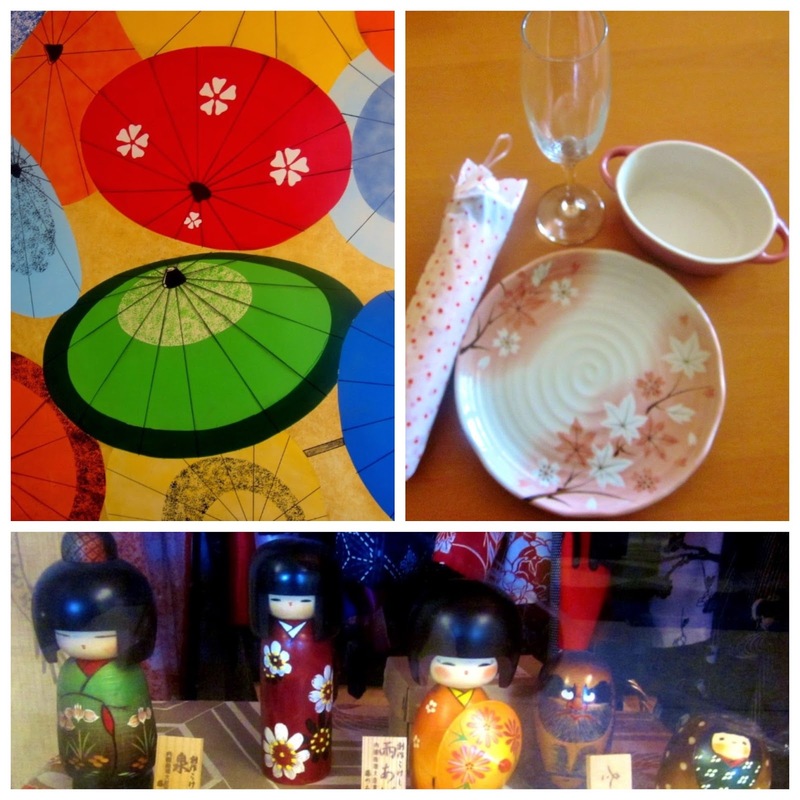 Window-shopped at stores selling the cutest Japanese thingamajigs. I was so tempted to bring home some knick knacks but practiced some great self-control today and did not buy anything at any of those shops. 1. Grabbed a takoyaki at Supermira Grocery Store which I had for dinner. Tip #1: Supermira is a grocery store but they also serve delicious and non-MSG hot Japanese food for less than $10 per plate! Tip #2: Inside Supermira is Yasukochi's Sweet Stop which is known for the yummiest and lightest coffee cakes in SF! Grab a slice! 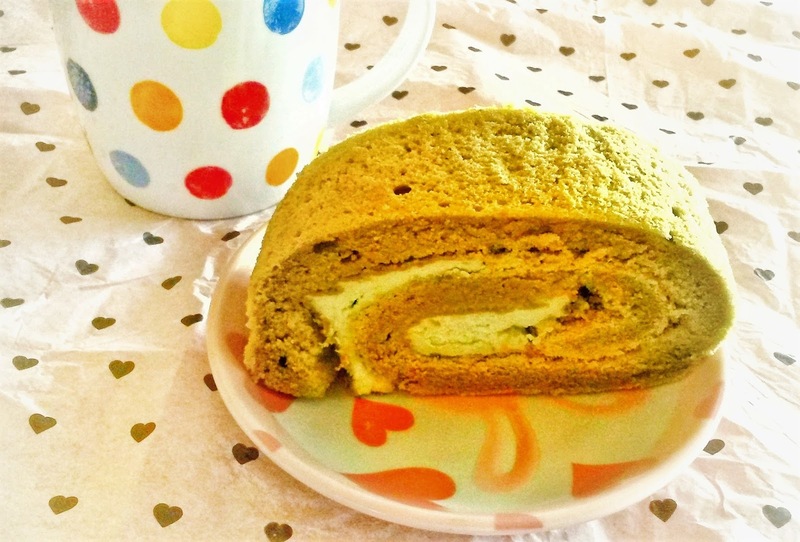 I love the matcha coffee cake. 3. For my lunch, I grabbed a box of nigiri at Nijiya Market. 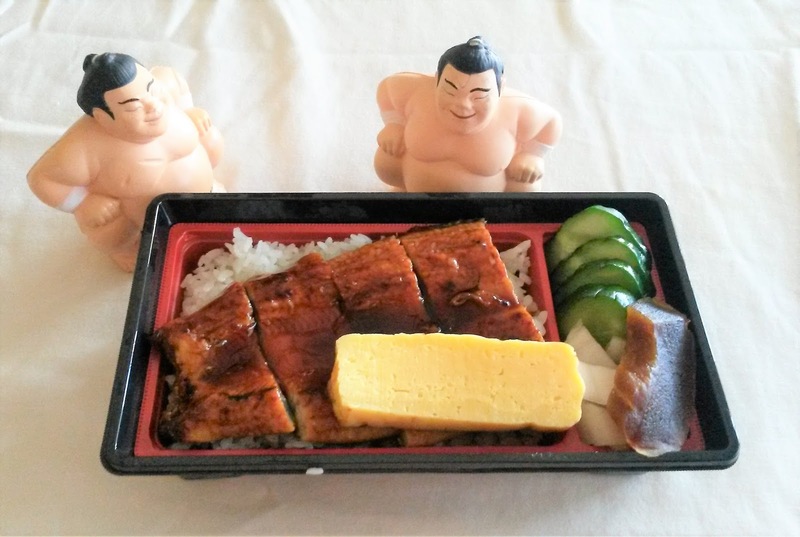 Nijiya is another grocery story but it sells fresh cheap bentos of epic selections. Grab a bento and eat it at the Peace Plaza. 4. Walked back to the mall and ordered hot green tea at Cafe Hana where I ate my sushi, sipped my hot tea and people watched. This is a little coffee shop to get Japanase snacks and desserts. 5. Every time I go to J-town, before I heading home, I always make a stop at Kissako Tea to grab a skewer of kushi dango (red bean dumplings) and onigiri. TIP: This little tea shop under the stairs is very cute. Somehow it reminds of the movie "My Neighbor Totoro." Another must-stop! Passed some time browsing at Kinokuniya Bookstore. TIP: Yes, you are not allowed to go to J-Town without browsing at this Kinokuniya! This is one of the most awesome bookstores in the Bay Area! You can find the coolest books and magazines here in Japanese and English. That great self-restraint I was talking about earlier? It all went out the window at Daiso Japan which is a mega-Daiso. I went home with a shopping bag of plates, umbrella, champagne glass and paper lanterns. Well, it was not so bad. They only cost me $14. 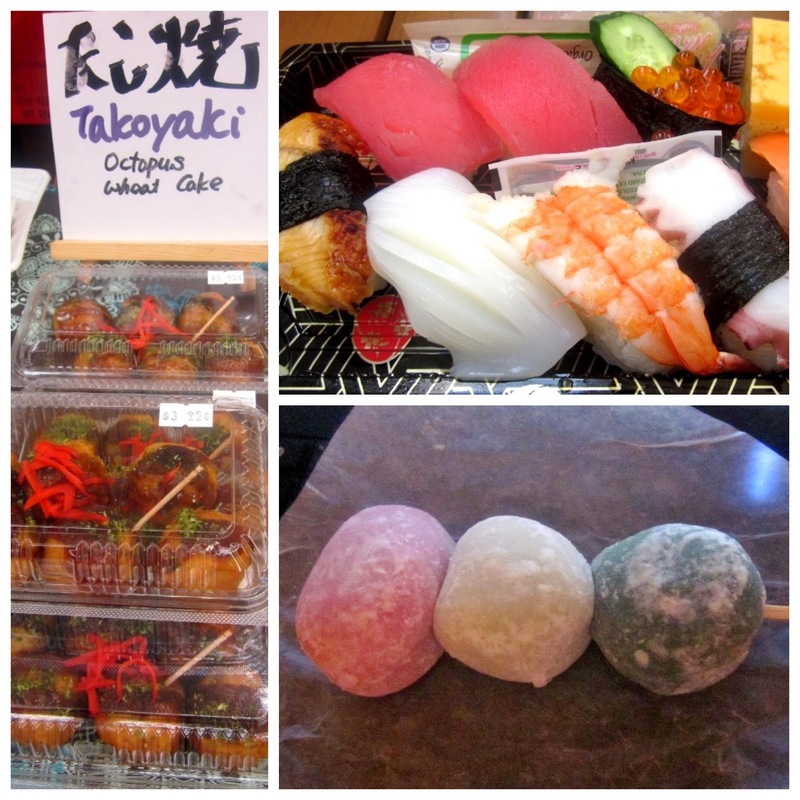 There is more to see and eat at Japantown. 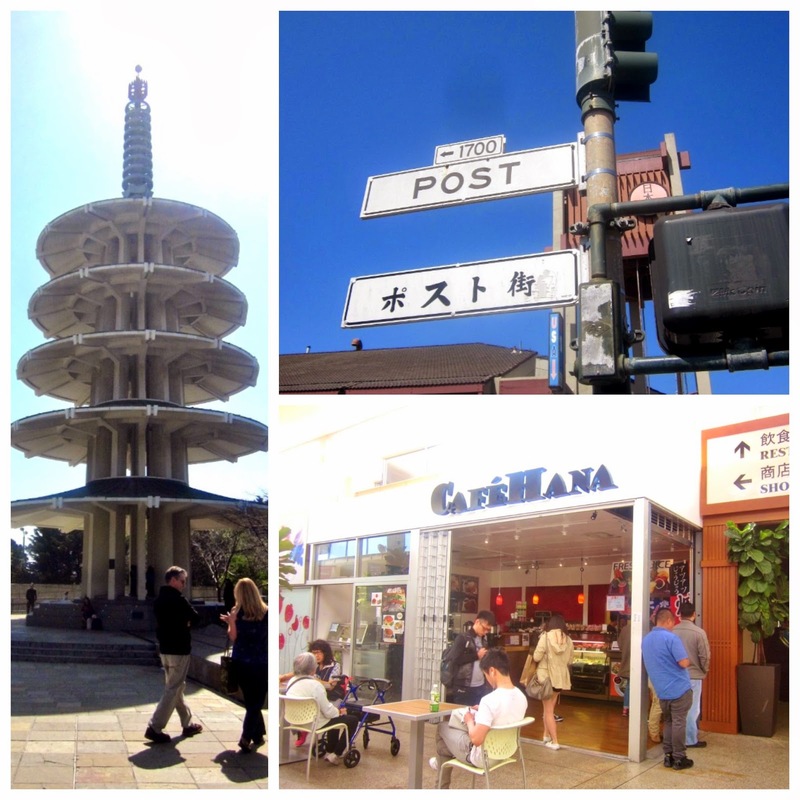 I hope to create a Japantown Travel, Part 2 one of these days. ANOTHER TRAVEL TIP: Continue exploring San Francisco and take Muni #38 all the way down to Ocean Beach and Lands End from Japantown. It is just few more minutes away down Geary Boulevard. Grab a picnic and do not forget your camera and hiking boots!